Do Big Pharma Exec Salaries Correlate w/Fraud & Whistleblower Sanctions? There was an interesting article in Forbes this week concerning the CEO salaries of Big Pharma and other healthcare giants. According to the article, "There is no mistaking the fact that the sector with the highest market capitalization – pharmaceutical companies – also had the highest executive compensation. This sector also had the highest net profit margins (NPMs) of any healthcare sector and it could well be the highest NPMs for any industry including those outside of healthcare." Unfortunately, the healthcare industry also has the highest rates of fraud according to Justice Department statistics compiled under the U.S. Federal False Claims Act. Medicare fraud costs taxpayers billions of dollars every year. Is there a tie between huge executive salaries and greed? Absolutely. Is there also a tie between huge compensation packages and Medicare fraud? In our opinion, yes. Testing our theory, we examined some of the CEO salaries as compiled by Forbes. At the top of the pharmaceutical industry is Johnson & Johnson. 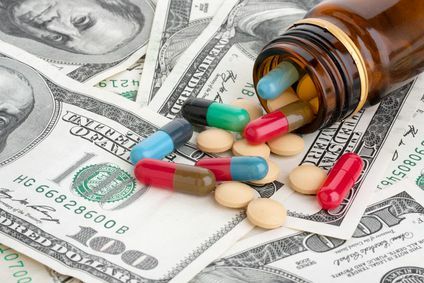 The American pharmaceutical giant has a market capitalization of $281 billion according to Forbes. Its net profit margin is a whopping 22%. (Most banks pay depositors 0.06% on savings accounts.) How much does the company pay its CEO? According to Forbes, $25 million per year. Johnson & Johnson may be on top of Forbes' list but it’s also on top of our “Wall of Shame. In 2013 the company paid a record $2.2 billion to settle criminal and whistleblower charges related to illegal kickbacks. While the fine seems huge to the average citizen, remember it represents about one percent of the company's total market capitalization. Some folks are saying this is but a single example. Good point. We looked at the number two company on Forbes' list, Merck. Although its market capitalization is "only" $168 billion, its net profit margin is a jaw dropping 28%. For such great profits, directors awarded Merck's CEO with a $25 million annual pay package. Like Johnson & Johnson, Merck hasn't been a good corporate citizen, however. In 2012, the company paid $441 million to the government to settle civil charges that included allegations about false advertising claims. Merck wanted to increase sales knowing that Medicare foots the table for much of its sales. That year the company also paid $322 million in criminal fines and had to return $200 million to state Medicaid agencies. Still not convinced? Forbes number three pharma giant in terms of executive pay, Pfizer, paid its CEO just $23 million. That company has the distinction of having the second largest False Claims Act settlement in history, $2.3 billion paid to the Justice Department in 2009. And number four Amgen, which pays it CEO just $14 million per year? They paid the feds $712 million in 2012 to resolve anti-kickback violations. In all of these prosecutions, the government relied in whole or in part on the False Claims Act; a Civil War era whistleblower statute that allows ordinary citizens with information about fraud involving a government program to collect an award based on the amount the government recovers. Is there a silver lining to this story? There is! While the CEO of Johnson makes $25 million in salary, the whistleblowers that brought the case forward were awarded almost $168 million. Rank and file pharma workers don't get paid millions of dollars per year. When one adds in stock options and perks, CEO and executive compensation packages can be in the tens of millions of dollars. We don't fault any executive for making money. CEOs whose companies flagrantly disregard the law, however, should not be rewarded for that activity. They should be punished. Thankfully, there have been a growing number of pharma workers - middle managers, QA professionals and production workers - willing to step forward and report wrongdoing. If the company's drugs are sold in the United States, chances are pretty good that a large whistleblower award may be available. If there is any drawback in American whistleblowing laws, it is probably the sad fact that only the first to come forward generally gets paid. With more and more people coming forward, there has never been a better time to report fraud. Reporting misconduct and obtaining a reward can be a complex process. Let us help you. Our goal is to clean up the industry, protect whistleblowers and help good companies save lives and make the world a better place. Pharma workers should know whether or not they have a case before they come forward. Have all the facts before you make the next move. The Pharmaceutical Integrity Coalition is the world-leading coalition fighting to right the wrongs of Pharma. We provide a safe harbor for QA, DS, DP professionals and other insiders anywhere in the world to report unsafe non-spec drugs being sold into the U.S market and to make cash reward claims under U.S. law.